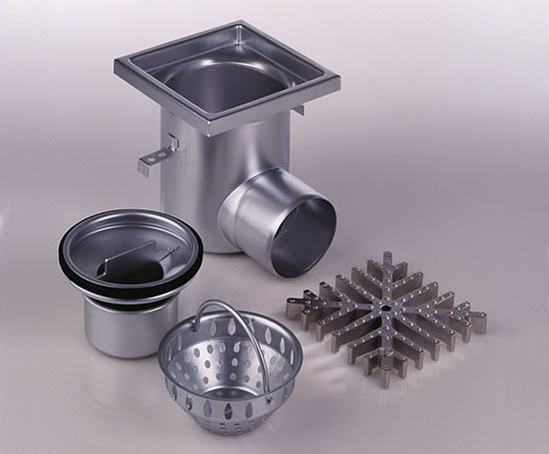 The Industrial 200 is a square-topped stainless steel floor drain suitable for use in commercial applications including kitchens, plant rooms, food production facilities and pharmaceutical buildings. 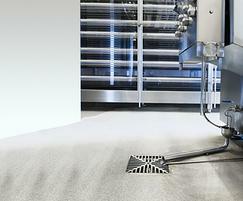 It is suitable for tiled or concrete floor finishes. A horizontal 110mm push fit spigot outlet is included. The drain can also be supplied with a removable water trap and either a silt or filter basket. Return edges are in-filled which offer greater rigidity and reduces the potential for voids and for bacterial growth. 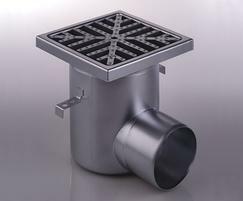 A range of gratings is available to suit most traffic from 1500 to 15000kg.